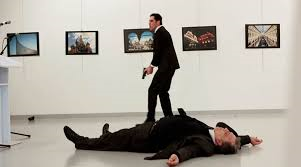 On December 19, 2016, a Turkish policeman assassinated the Russian Ambassador to Turkey. The killer loudly proclaimed in front of rolling cameras that he did so because of the killings happening in Syria in the civil war that has claimed 500,000 lives. He called out the city of Aleppo, which was under siege by the Syrian Assad regime with the assistance of Russia. The murder of Russian diplomat Andrey Karlov in Ankara. The United Nations outgoing Secretary General Ban Ki Moon condemned the assassination. His comment implied that there was no basis for the attack. Did Ban Ki Moon not watch the video or read the transcript of why the murderer committed the act? Did he not appreciate Russia’s role in the massacre in Aleppo? Or did he feel that the murder of a Russian diplomat had nothing to do with alleviating the suffering of the Syrian people? As discussed in “The United Nations’ Adoption of Palestinians, Enables It to Only Find Fault With Israel,” the United Nations was established as a forum for countries to engage with each other. However, the UN actively advocates for the Palestinian Arabs, as it considers that the UN itself as the guardians of these stateless wards. 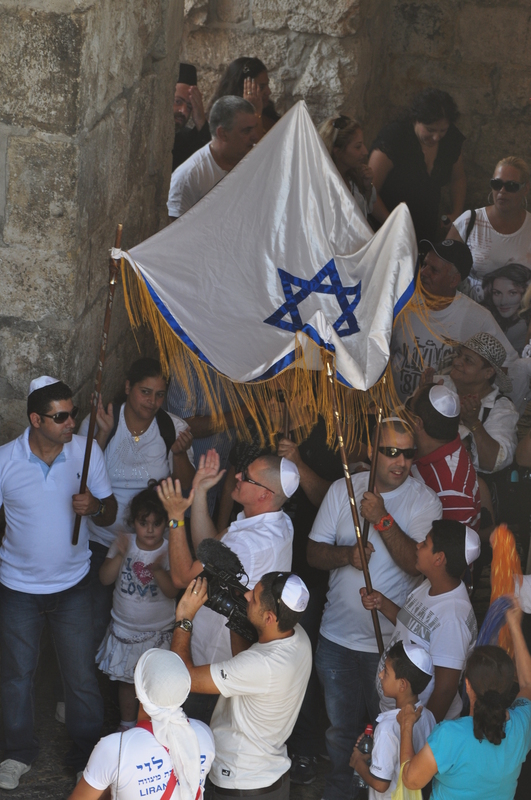 As such, it views all attacks against Israeli civilians – including children – through a unique lens of empathy and support for the Palestinian Arab narrative. While at the same time, no murder of Israelis can ever be “senseless” for the United Nations. US President Barack Obama has made some interesting friends in office. Those friends get some special attention, and often more importantly, benign neglect. Among the five world leaders that Obama highlighted as his best friends was the Turkish leader Recep Tayyip Erdogan. Over Obama’s tenure as president, Erdogan served as both the Turkish Prime Minister and President. This weekend, elections in Turkey could help cement his power as he attempts to remake the country’s constitution. One would normally congratulate Obama on aligning himself with such a powerful leader, particularly one with a significant presence in the Muslim world. Such an ally could help the United States advance American interests in the volatile Middle East. Turkey sits geographically as a bridge between the European and Asian continents. Turkey borders the volatile countries Syria and Iraq, both of which are consumed by war, where Obama has expressed a US interest. Turkey’s geographic position and large army make it a potential important ally for the US in the fight against the Islamic State. However, despite the good terms between Obama and Erdogan, Turkey has not been a good partner in this regard. As relayed by The Guardian October 2014: “The US is especially angry with Turkey because it is a Nato ally and yet it has refused to provide even basic logistical assistance to the US-led coalition.” It took many months for Turkey to agree to even begin training Syrian forces in Turkey to fight ISIS. Turkey’s efforts continue to be minimal. If Turkey hasn’t been so helpful to American interests, perhaps Obama’s friendship is based on shared values. As reviewed in “The Churlish Turkish Leadership“, Erdogan has moved his country to the far right into the deep religious Islamic sphere. He has curbed the freedoms of press and expression dramatically over his tenure. Are those shared American values? Obama’s values? Obama has issued no statement about Turkey’s illegal occupation of northern Cyprus since 1974, which is deemed illegal by the United Nations and not recognized by any country other than Turkey. When Erdogan said the “Zionism was a crime against humanity” in February 2013, the White House merely condemned the statement, but did not threaten any action against Turkey. In May 2015, in the week before elections, Erdogan stated that he sought Turkish unity (with the Kurds) in liberating Jerusalem “just as our forefathers went together to liberate Jerusalem with Saladin, we will march together on the same path“, in a comment that did not even get a response from the Obama administration. It would appear that Obama is fine with Erdogan despite the lack of Turkish support for American policies or values. 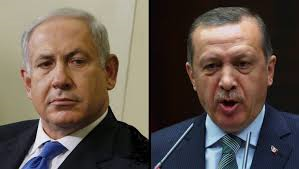 Obama’s relationship with Erdogan is in sharp contrast to the way Obama treats the Israeli Prime Minister Benjamin Netanyahu. Obama is obsessed with preventing Jews from living in the eastern part of Jerusalem and Judea and Samaria, because of the anti-Semitic desires of the Palestinian Authority and has repeatedly attacked Netanyahu for permitting Jews to live freely where they choose. Obama will likely continue to show benign neglect to the demagogic statesman from Turkey who makes vile attacks against allies and quells the rights of the people in Turkey. Conversely, Obama has demonstrated that he will berate and lecture the Israeli leader about “values” and take actions that threaten the country’s existence. Troubling trends based on personal preferences. Erdogan is famous for his hypocrisy. He has shelled Syria repeatedly for accidental mortar fire into Turkey. 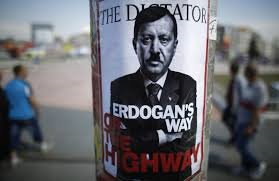 He has refused to admit Turkey’s Armenian Genocide. He has refused to back down from Turkey’s illegal annexation of northern Cyprus. Maybe his title should be changed to the “Prime Turkey”.